Resources: a sketching stool and appropriate clothing are important. Materials will vary slightly according to specific workshops, but as a guide: A5 watercolour sketchbook; Inktense watercolour pencils; watercolours and waterbrush; soft graphite stick. A range of possible workshops, focussing on different techniques for bringing greater vibrancy to your work. 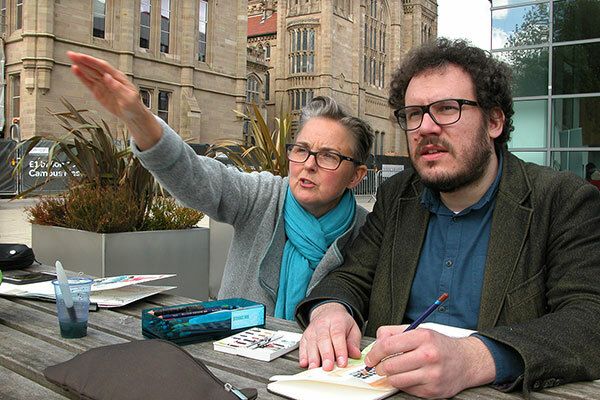 These workshops are designed to help those with some drawing and sketching experience who want to challenge themselves to try new possibilities. Please email me to discuss what you would like. Note: This is not a table-based workshop, but involves sketching on location. An outdoor venue works best, but is obviously seasonal.